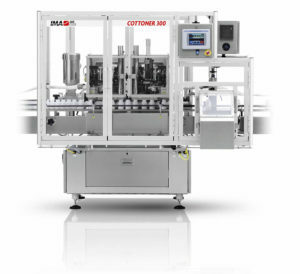 IMA is a global leader in the design and manufacturing of automatic machinery used in the processing and packaging of pharmaceuticals products. Thanks to its high technological profile and the ability to offer tailor-made solutions, IMA can satisfy the most sophisticated requests of the different reference markets. Inline bottle cleaner. 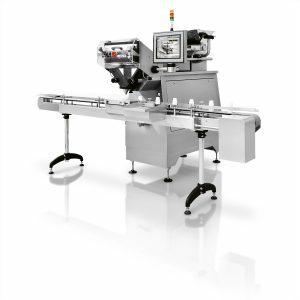 The IMA Swiftpack in line Bottle Blower machine has been designed to meet the highest level of GMP in keeping with the stringent requirements set by the pharmaceutical industry. 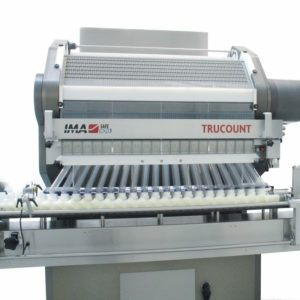 Cotton inserting machine. The COTTONER Series utilizes an inverted “U” technique of inserting cushioning material into containers maintaining the product integrity for a cleaner packing process which eliminates stray wisps of cotton. Desiccant inserting machine. A wide range of solutions, which include centrifugal desiccant inserter and multiple fill desiccant machines, are available. 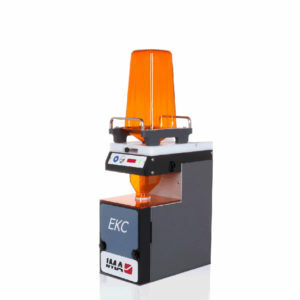 The EKC is a tablet counting device for Automated Pharmacy applications and forms part of an integrated tablet counting and filling system in which a central controller commands multiple EKC units. 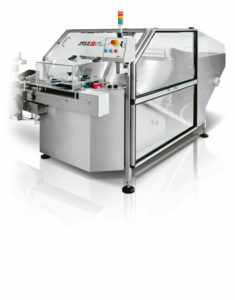 In line sorter - Linear unscrambler. 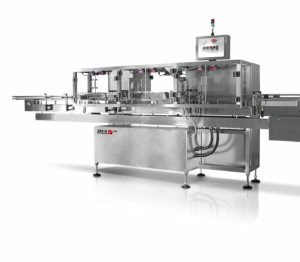 ILS-1 is a new linear unscrambler with integrated bulk hopper, ionized air rinse and inspection for highly efficient bottle feeding. 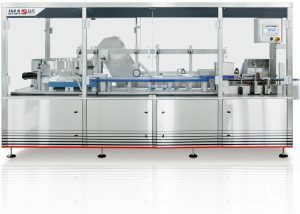 Automatic bottle unscrambler. 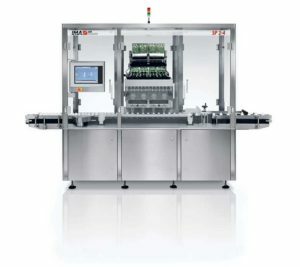 This Series has been designed to handle a wide range of plastic bottles and is available in 3 sizes dependant upon output. 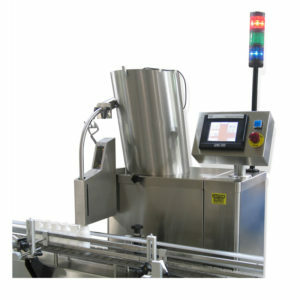 This fully guarded machine is constructed to meet the latest requirements for GMP. Slat counter. 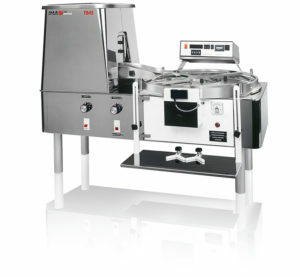 The Nova SL-39 is a slat counter designed to meet the demand for quick and easy cleaning. 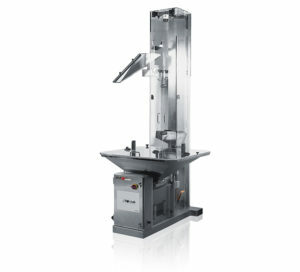 In addition, this counter is available with an optional innovative replacement filling head to drastically reduce the changeover time of the machine. Tablet elevator. 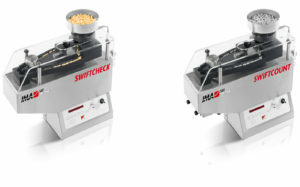 The IMA Swiftpack SWIFTLIFT Tablet Elevator has been designed to transport product from a floor mounted hopper to a tablet counter, blister packing machine or similar. Electronic tablet counter. 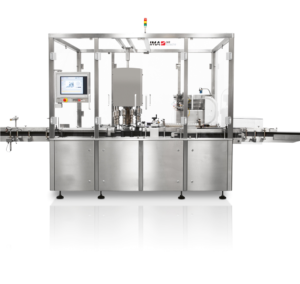 SWIFTPHARM 2 is a versatile counting/filling system to pack a variety of products accurately at high speed, and requires few or no change parts to allow maximum productivity. Electronic tablet counter. The TB4 and the TB4S (stainless steel version) electronic tablet counters offer an extremely versatile and accurate method of counting most shapes of tablet, capsule, dragee hard and soft gelatine capsules. Integrated counting system. 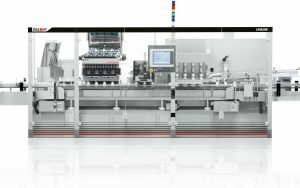 UNILINE is a conveying, filling and capping system that flexibility integrates the functions required to form a complete counting line: container loading, desiccant insertion, counting and filling, cotton insertion, capping, rejection.